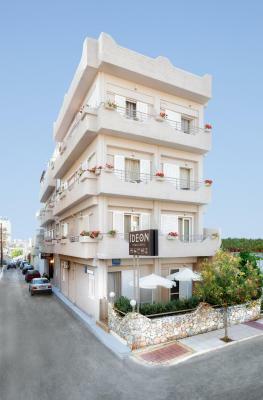 Lock in a great price for Hotel Ideon – rated 8.8 by recent guests! The location is perfect!! It was very close to the beach and about less than 10 mins walk to the old town! The owner was very Nice and they cleaned our room everyday! Everything about this place was amazing, the shower was phenomenal, beds were comfy, very clean, great reception, close to great food and the beach! Awesome place! Staff was friendly but could anticipate a bit more. Location excellent, wifi working very well. 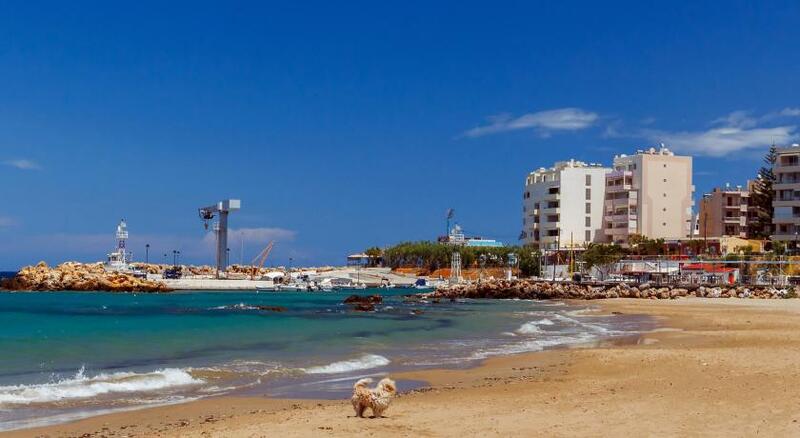 Hotel is located close to the beach - about 3 minutes walking, close to the bus station - 15 minutes walking and with the same distance time to the city centre and to marina. Very helpful staff, clean room. The place is really nice and clean. 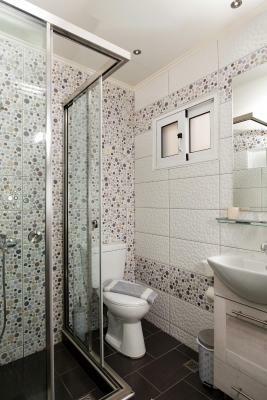 The shower and the bed are amazing. Quick walk to the old port, where everything happens, just 2 blocks from the beach. The owner and the staff are amazing, super helpful, always smiling. The price is very reasonable. 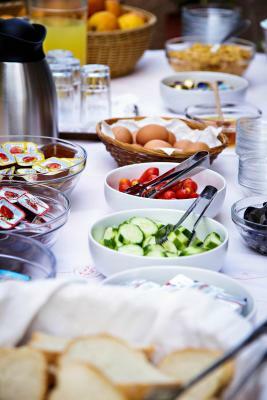 The breakfast is wonderful, full of homemade food. We stayed in a room with a nice balcony, which seem to be the warmest spot in all Chania, which was most appreciated in end of October. When we checked out I forgot my jacket and the owner called the cab driver 15 min later so we could come back to get it. We liked this location because it was slightly out of the hustle and bustle (and noisiness at night) of the central port, but still an easy walk (20 minutes or so to reach the center of the port). 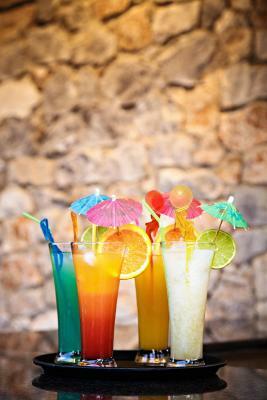 It is very near a beach with umbrellas and such and a line of tavernas/cafes, so makes for a nice first day if you want to take it a little easy and relax. We stayed on the ground floor and had a lovely patio for our use. The stuff was amazingly friendly and helpful. We loved out stay there. The hotel was very clean. The bathroom was big enough. We had a really nice balcony. 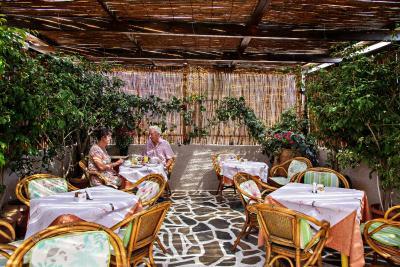 The owners and staff were wonderfully friendly and helpful, especially when they helped us understand how to use public transportation to get to and from the Samaria Gorge. 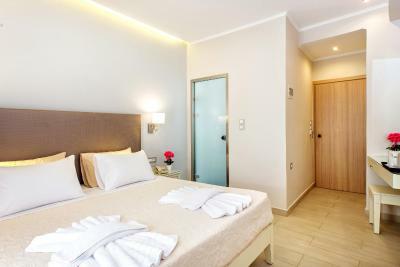 Hotel Ideon This rating is a reflection of how the property compares to the industry standard when it comes to price, facilities and services available. It's based on a self-evaluation by the property. Use this rating to help choose your stay! 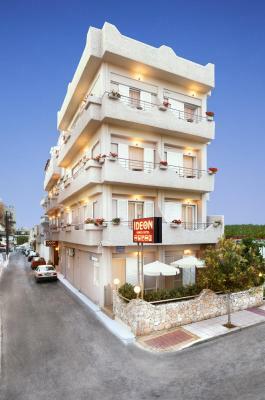 Just 350 feet from the sandy Nea Chora Beach, the family-run Hotel Ideon is in Chania Town. 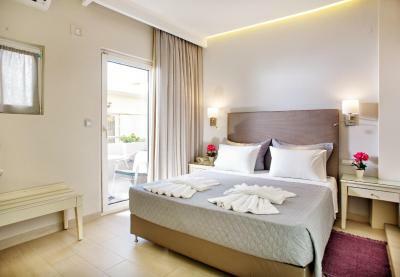 It offers free WiFi in public areas and air-conditioned accommodations with a balcony. 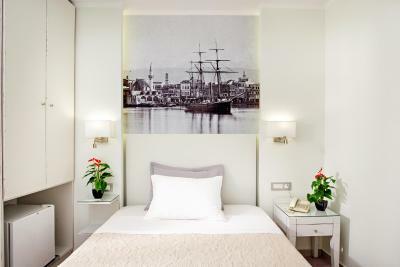 The scenic Venetian Harbor is a 15-minute walk away. Featuring a TV, all rooms of Ideon are equipped with a mini fridge and a safety deposit box. 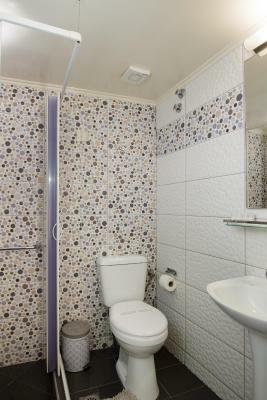 Each has a modern bathroom with a hairdryer. Some units come with views over the White Mountains. 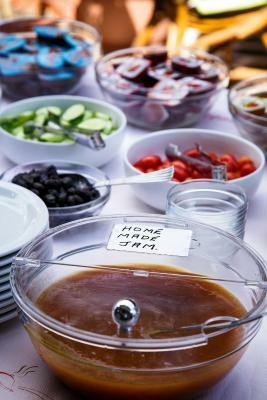 A buffet breakfast including homemade jam is served in the property’s roof-garden. 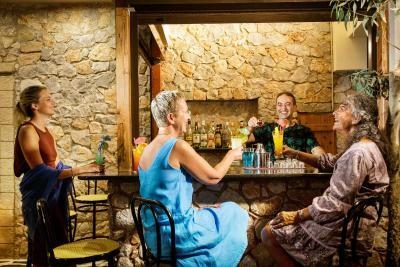 In the evening, guests may relax with cocktails or freshly squeezed juices at the on-site bar of the roof-garden. The property facilities include a communal computer, while printing is possible upon charge. A tour desk and a bike or car rental service are available. Hiking activities can be arranged. 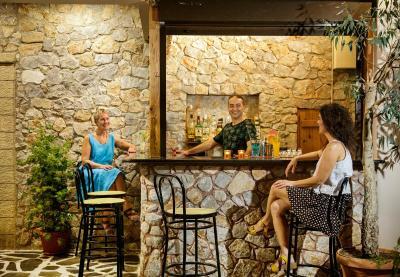 Several tavernas, café bars and mini markets for the general supplies can be reached within short walking distance. The central bus station is a 15-minute walk away. 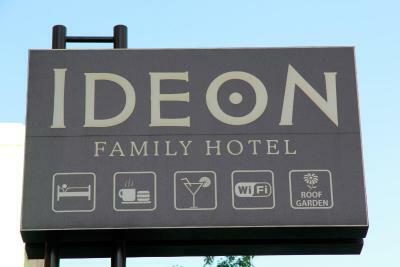 When would you like to stay at Hotel Ideon? This air-conditioned room offers a balcony, satellite TV and fridge. Please note that some rooms have a small balcony without furnishings. This air-conditioned room includes a balcony, satellite TV and fridge. This room is allocated on the ground floor and it doesn't offer a balcony, only a window. 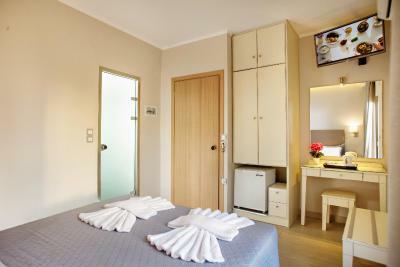 This air-conditioned twin room features a window and satellite TV. Please note that this room type has a very small window without balcony. 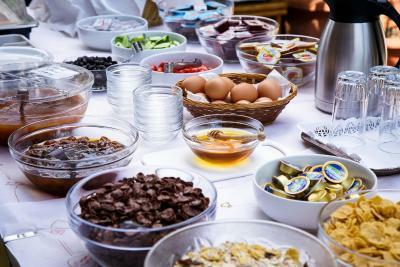 House Rules Hotel Ideon takes special requests – add in the next step! All children from 3 to 12 year are charged 50 % of the room stay per night for extra beds. Hotel Ideon accepts these cards and reserves the right to temporarily hold an amount prior to arrival. 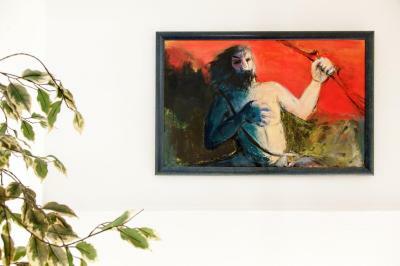 Please notify Hotel Ideon if your arrival is scheduled for late in the evening or after hours. Contact information can be found on the booking confirmation. Please inform Hotel Ideon of your expected arrival time in advance. You can use the Special Requests box when booking, or contact the property directly using the contact details in your confirmation. 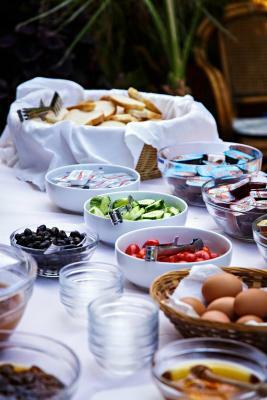 I was told breakfast was included & then had to pay for it upon leaving - that said , it was only E10 for 2 breakfasts. 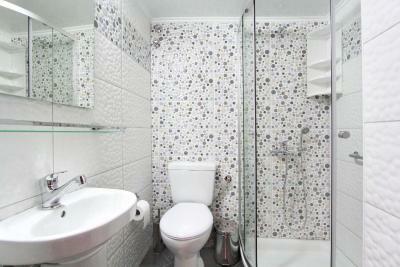 Very nice , helpful staff, spotlessly clean - close enough to everywhere inc bus station . Also quiet . All staff spoke excellent English . There was no chair to sit on in the room, on!y a hard stool. For the price I would have expected tea/coffee sachets in the room, there were cups and a kettle but nothing more. Breakfast was lacking in anything fresh. The lift didn't always work, which is not great when you are on the second floor and have a dodgy hip. The room was cleaned well every day. The location was close to a good beach with great restaurants. Room was very clean and comfortable. Staff were very helpful and friendly. Visited at the start of the season so some fresh paint smells. Hot water had to be requested because of tempremental boiler. 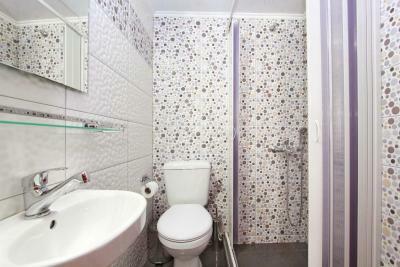 Friendly host, good breakfast, close to town and to local beach with several restaurants. 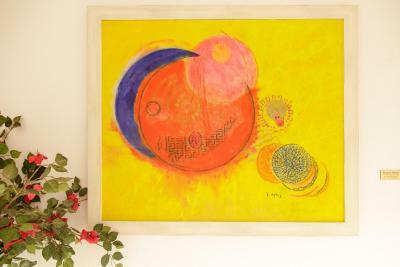 Pleased that room had good heating as weather unseasonably cold in April. No real "view" from the windows, not easy to park the car around the hotel. 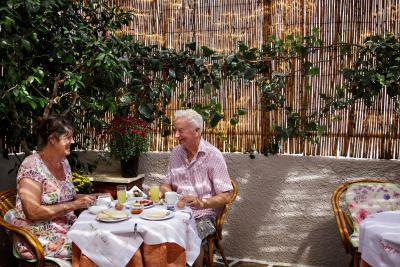 The hotel is situated in a quiet neighbourghood but just 5 minutes walking to the beach and restaurants. 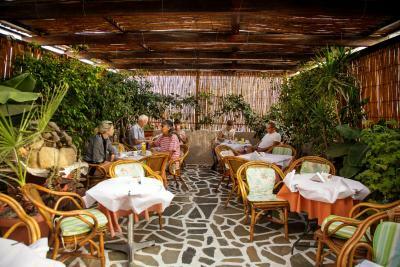 The owners are the nicest people we have met in Creta in the past ten years! 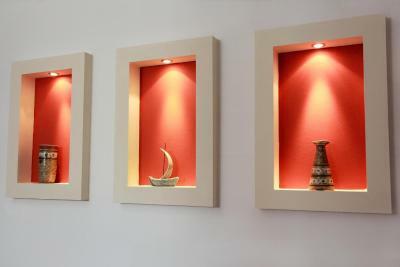 Hotel has been recently refurbished and rooms are modern, super clean and bright. It is not noisy around the hotel, very quiet. Breakfast on the roof basic but very relaxing atmosphere. We spent a lot of time there after the breakfast checking e-mails and just chilling-out. 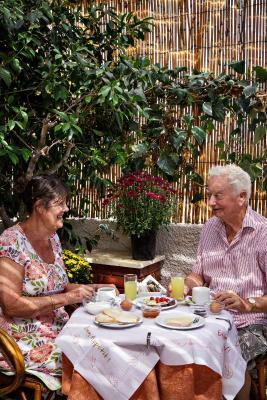 Breakfast on the roof terrace. 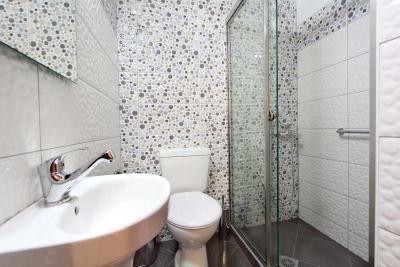 It is recently renovated, very comfortable and very clean. 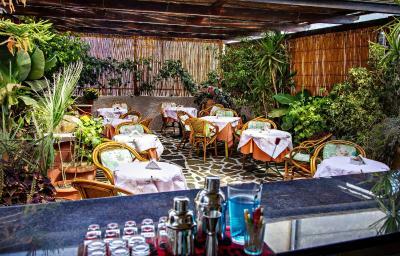 The location is quiet and you can find a parking on the street nearby quite easily. Quite slow WiFi. I would add some shelves and/ or hooks in the bathroom because there is no place to keep one's cosmetics, clothes etc. Excellent location - very close to sandy beach with umbrellas and beach bars, short walk to harbor and city center. 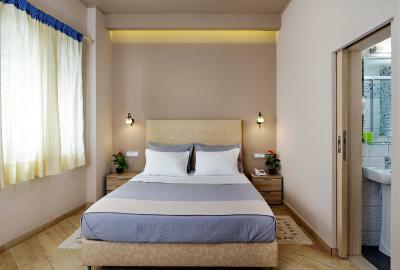 Very clean rooms, rooms renovated recently - fresh and nicely decorated. Windows isolate outside noise very well. Cool roof bar, where breakfast is served. 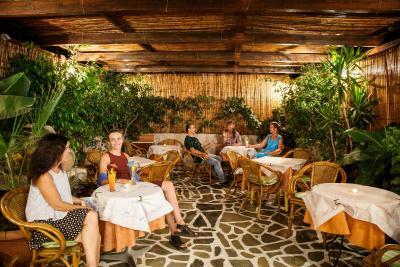 Extremely kind, polite and helpful staff - always ready to advise us how to reach interesting spots in Crete. Very friendly team, very clean room and facilities, great equipment (even better than our 4* Iberostar in Parnormos :D) and a good Location. Not in the very center but near the beach. Breakfast was disappointing, not even having a toaster to toast the bread was odd. There were no toiletries in the room either which meant we were left searching for some extras on a Sunday! 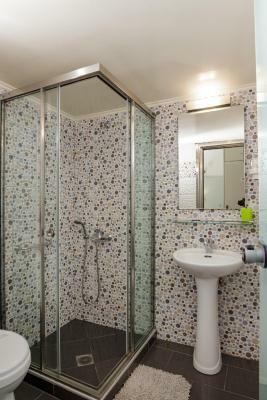 The rooms looked like they had recently been refurbished and the shower was great. Very clean and was refreshed daily. The staff were very friendly and very helpful. 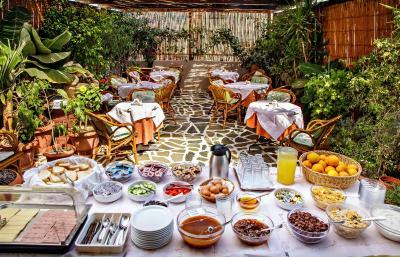 The roof garden for breakfast was very sweet! 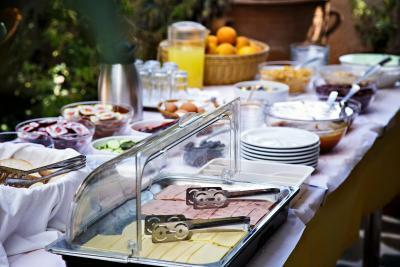 The products at breakfast, though very limited, very of good quality and seemed fresh. Compared to the price (6 Euro), breakfast was a bit simple. Staff was always welcoming and willing to help! Very helpful and cheerful staff, they really make an effort. 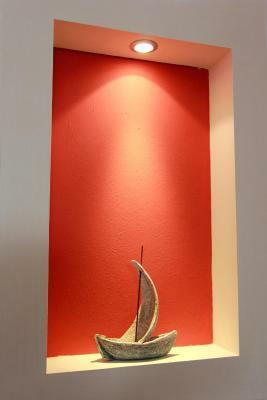 The hotel is situated in a quiet area close to the old town. They have a roof garden where they serve breakfasts.